INDUSTRY.co.id - Jakarta - A prestigious skincare brand, SK-II, launched its #OneBottleAwayFrom campaign by releasing a movie starring three celebrities supermodel Behati Prinsloo Levine, singer Choi Soo Young from K-Pop Girls Generation group (SNSD) and Chinese actress Leaning up Li Qin, containing about their journey to their next big momentum with a bottle of SK-II Facial Treatment Essence. In addition, in this campaign SK-II also invites three Indonesian women to join the challenge of #OneBottleAwayFrom with Behati, Soo Young and Li Qin. 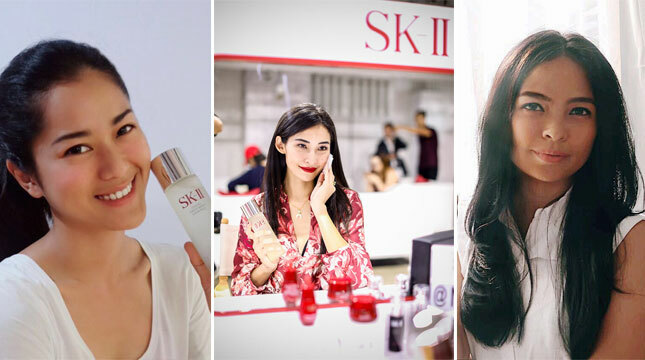 The three Indonesian women who joined the SK-II challenge #OneBottleAwayFrom were vocalist of band Tantri Syalindri, actress Prisia Nasution, and photographer celebrity Nicoline Patricia. In the course of a highly personalized and featured personalized skin transformation in their social media, every celebrity will express his experience using SK-II Facial Treatment Essence for the first time, while preparing for their next big momentum. One of Indonesia's best actresses, Prisia Nasution, will reveal her skin transformation experience with Facial Treatment Essence for the preparation of her latest movie premiere.